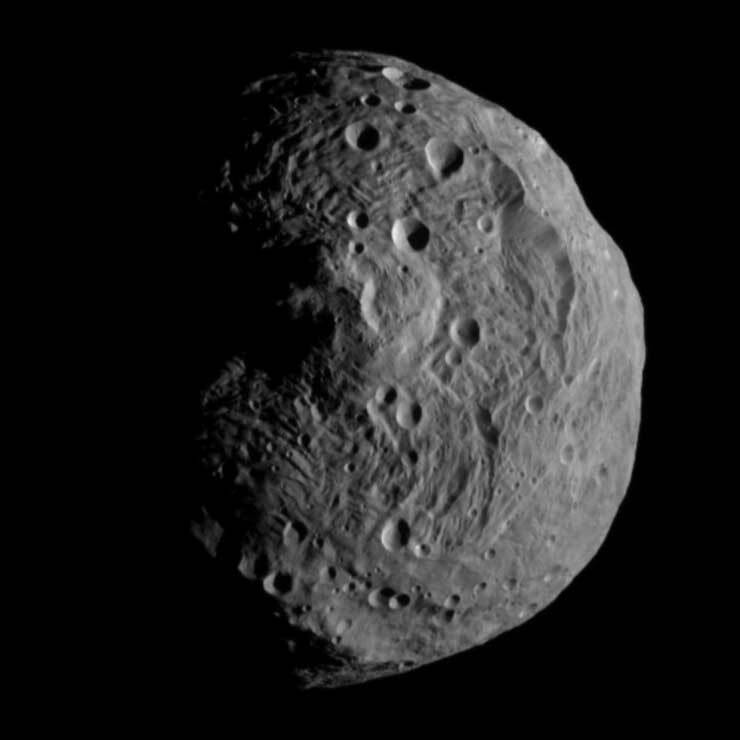 NASA’s Dawn spacecraft entered orbit around asteroid Vesta on July 16, 2011. 1) Photo is taken from the spacecraft Dawn 9,900 miles (16,000km) away. 2) We’re uncertain of Vesta’s mass so we played it safe and took a high orbit. 3) Over the next 3 weeks we’ll lower the orbit and get a much more accurate calculation of her mass and even higher resolution images.